In Yekaterinburg, for the 2018 World Cup, an architectural monument was renovated - the Central Stadium, a model of the Stalin Empire. The historical facade of the building with the columns is again decorated with six symbolic sculptures, which are no longer reconstructed in a fragile cast, but in metal: a steelworker, a footballer, a shooter, a skier, a milling cutter and a girl with a torch. They will inspire the participants of four group matches: the teams of Egypt and Uruguay, France and Peru, Japan and Senegal, Mexico and Sweden. For the time being, the stadium will be called "Ekaterinburg Arena". The official fan platform of the championship, designed for 17 thousand people, will be located in the most popular city park - the Central Park of Culture and Culture named after Mayakovsky. It will be opened by the performance of the cult Ural group "Chaif". 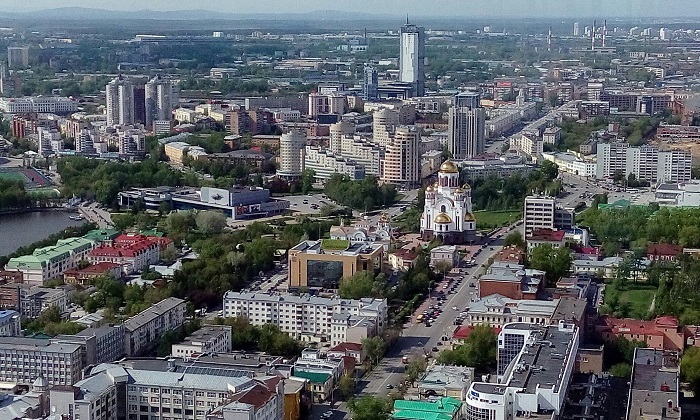 But some special football routes for guests in Yekaterinburg did not develop - the city, according to Yekaterinburg, in itself is interesting and convenient for tourists, it is easy to navigate and you can easily find an interesting direction. Nevertheless, fans are offered music and gastronomic tours. 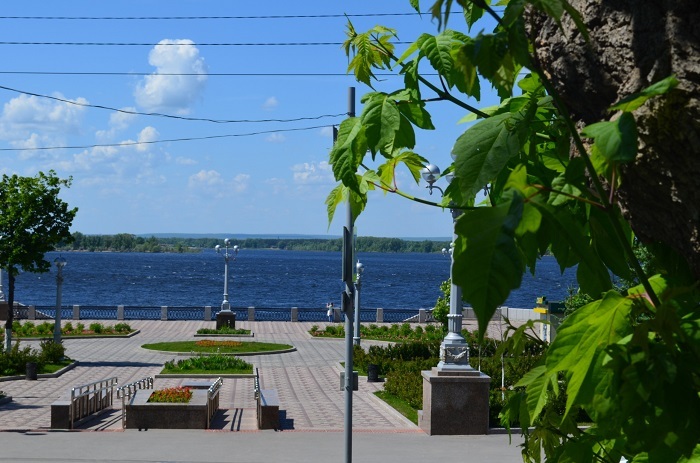 The first one is connected with the memorable places of "Sverdlovsk rock" and with the fact that in the last days of June the international musical festival "Ural night of music" is taking place in the city. This is really the night from June 29 to June 30, so the fans will be able to escape from the games a bit and meet the dawn over Iset with songs, for example, Emir Kusturica or Ivan Dorn. Gastronomy focuses on local cuisine and, of course, beer. For beer it is necessary to go along the pedestrian route "Beer Mile" with stops in bars and other establishments, and the Urals cuisine is represented, as you might guess, by pelmeni. Samara is called the "cosmic capital of Russia", and it's not just that: at the Samara aircraft plant number 1 (now the Progress space rocket and space center) they built a Vostok missile that sent Yuri Gagarin into space. Not surprisingly, the new stadium "Samara Arena", built for the football mundialya, echoes with the space - it has a dome in the form of a star, and after the championship it will be called "Space Arena". The guests of the World Cup are also invited if not to space, then on an excursion to the Samara Space Museum. There they are waiting for the Soyuz carrier rocket, spacecraft engines, spacesuits and cosmonauts' food - real rarities. But, of course, Samara can please the guests not only with space. Close to the fans beer theme is appropriate here as anywhere, and excursions to Zhigulevsky The brewery will prove this in practice. If there is not enough space and beer, you can look at Samara Art Nouveau or vice versa - go down to the bunker of Stalin, the deepest in the world. A fan zone for 35,000 people will open on Kuibyshev Square. This is the main square and the real center of the life of the city, and it will become the largest fan platform of the World Cup 2018, second only to Moscow on the Sparrow Hills. Sochi - on a special position among the cities of the World Cup 2018: just four years ago the city hosted the Olympics. Sochi stadium "Fisht" did not even have to change the name to a more recognizable one, as it should be in accordance with FIFA rules - it was remembered thanks to the Olympic events. Thanks to the Olympic experience, the football championship will be delayed in Sochi for almost a month: 6 games will take place in the resort city: 4 games of the group final at the very beginning (Portugal - Spain, Belgium - Panama, Germany - Sweden, Australia - Peru), one game 1/8 finals and one quarterfinal match on July 7. The stadium that hosts the matches of mundialya is named after Mount Fisht, the westernmost peak of the mountainous Caucasus with a height of 2,867 meters. It stands almost on the shore, near the embankment. It can be reached in 15 minutes - just bypass the fence around the Olympic Park. But the official fan zone of the championship will also be located on the shore, but at a distance of as far as 33 kilometers from the stadium - at the South Pit of the Seaport. From the "Fisht" to the fans fan zone will carry Express "Swallow", the benefit of the railway station is only one and a half kilometers from the sports arena. Just next to the stadium "Fisht" is "Sochi Park" - a theme park where you can spend the whole day. From the cabins of the large Ferris wheel at the entrance to the park a wide panorama of Imeretinskaya lowland opens - the whole infrastructure is in the palm of your hand. 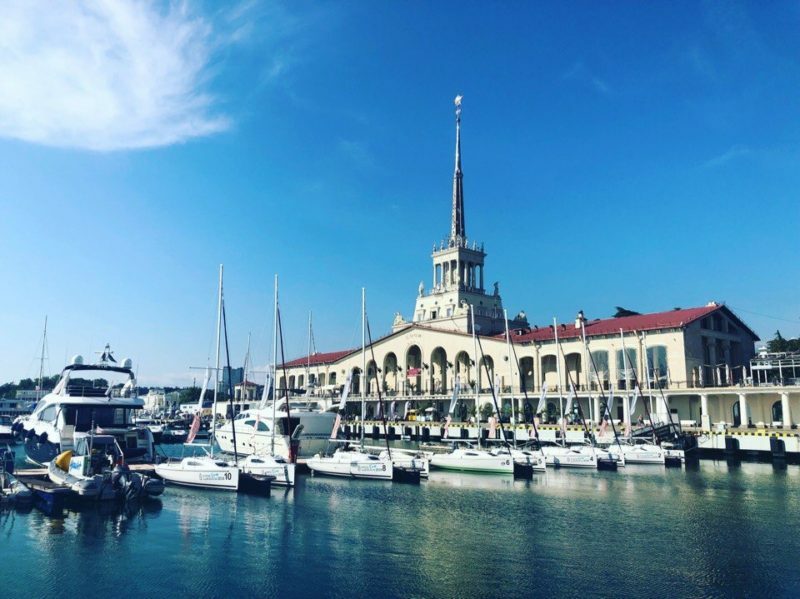 Tourist program for guests of the 2018 World Cup, prepared in Sochi, will show fans and all objects of the past Olympics, and the classic sights of the old Black Sea resort. 40 routes have been thought out that lead to the Olympic Park, to the routes of Krasnaya Polyana (in the absence of snow they will be prepared for bicycle descents), Eagle Rocks, Riviera Park, Mount Akhun and Arboretum. The sea, the sun, subtropics, the unique nature of the Sochi Biosphere Reserve are able to entertain and improve themselves. Unless on soccer "illness" it does not extend.